Lingua Angelica is an excellent Christian Latin reading and translation course. The CD contains 4 Latin prayers and 24 Latin hymns, beautifully sung by a six-voice a capella choir. The Student Book provides facing vocabulary, space for interlinear translation, and grammar word study exercises. In addition to well-written instructions on how to use the course, the Teacher Manual contains a complete copy of the Student Book with answers, making the teacher's job easier. We have also included a song book with the musical scores and short histories for each piece. Recitation is an essential aspect of teaching Latin. It requires mastery of a subject like no other tool can. Our new Latin Grammar Recitation Program contains flashcards that include every grammar form taught and recited in our Forms Series. The corresponding handbook indexes the flashcards and provides a lesson-by-lesson schedule for First Form through Fourth Form. Now you too can confidently lead a Latin recitation in your home! English Grammar Recitation Workbook Two is tied specifically to the grammar taught in First Form Latin and covers 36 additional grammar rules, as well as expanding on capitalization and punctuation rules taught in Book One. Ideal for beginners of all ages who are fascinated by the action and drama of Rome. Inside are 30 stories, covering all of ancient Rome’s history, from its founding to its demise. Your child will witness the rise and fall of a great civilization through the lives of larger-than-life figures. In our new edition, we have added maps of Rome, Italy, and the Roman Empire, and a glossary of people and places. This program is ideal for beginners of all ages who are fascinated by the action and drama of Rome. Inside are 30 stories, covering all of ancient Rome’s history, from its founding to its demise. Your child will witness the rise and fall of a great civilization through the lives of larger-than-life figures. In our new edition, we have added maps of Rome, Italy, and the Roman Empire, and a glossary of people and places. We now offer a year-long workbook course that comprehensively covers Famous Men of Rome. Each of the 30 workbook lessons includes famous quotes, a drill of key people and places, 10 vocabulary words, 5-10 comprehension questions, and an activities section that includes mapwork, discussion questions, and research projects. The program also comes with an appendix of supplements, including maps of ancient Rome and Italy and modern Europe, a “Who Said That?” worksheet, a timeline beginning with the founding of Rome, drill questions, and drawing pages. We now offer a year-long workbook course that comprehensively covers Famous Men of Rome. Each of the 30 workbook lessons includes famous quotes, a drill of key people and places, 10 vocabulary words, 5-10 comprehension questions, and an activities section that includes mapwork, discussion questions, and research projects. The program also comes with an appendix of supplements, including maps of ancient Rome and Italy and modern Europe, a “Who Said That?” worksheet, a timeline beginning with the founding of Rome, drill questions, and drawing pages. This Teacher Guide includes quizzes and tests. In addition to introducing your child to the classical stories and people of Rome, we highly recommend these flashcard supplements to improve your child's recall as he or she explains and remembers the famous events, stories, and people that have shaped history and Western civilization. When was Rome founded? Who was Pompey? You can be sure your child will know and remember these important facts, and more, with Memoria Press' flashcards. There are sets available for each Famous Men book series, as well as D'Aulaires' Book of Greek Myths. Christian Studies II is the second book in a three-year reading course that builds faith by teaching Salvation History as real history. 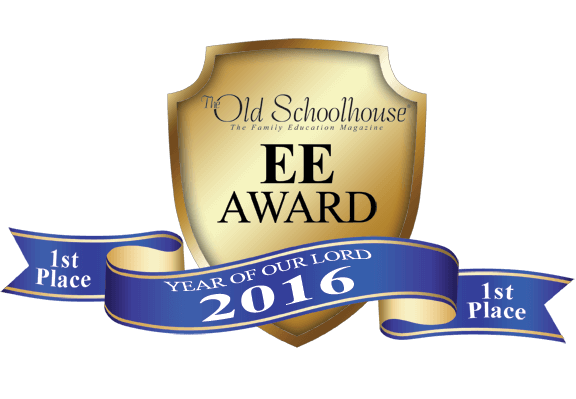 Students work through one-third of The Golden Children’s Bible each year, for three years. 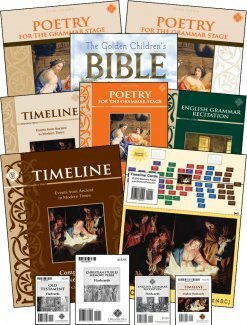 Your child will learn the fundamentals of Bible stories, history, and geography, with solid detail at a manageable pace. The Speed Drills for the the Rod & Staff Grade 5 Math Set. Speed drills increase facility with basic arithmetic which prepares students for more complex math later. Pages are perforated. This is the Student Book for the Rod & Staff Grade 5 Set. For information on the subjects covered, click here. The Tests for the Rod & Staff Grade 5 Math Set are bound together in this separate book with perforated pages. Part 1 of the Teacher's Manual for the Rod & Staff Grade 5 Math Set. The teacher's manual comes in two volumes. Pages from the Student Book are printed with the answers filled in. Teaching notes are also included. Part 2 of the Teacher's Manual for the Rod & Staff Grade 5 Math Set. The Classical Composition II: Narrative Stage Teacher Guide contains sample answers for the Narrative Stage Student Guide. The Narrative Stage DVDs feature instruction by Dr. Brett Vaden and are a great resource for those using Memoria Press's Classical Composition series. This additional copybook in our series includes the memory passages students memorize in the Memoria Press Christian Studies II course. It teaches penmanship, basic grammar, spelling, literature, accuracy, attention to detail, and memorization—all through the simple skill of copying. Not only do we want our students to form beautiful letters, we want them to copy beautiful words. We have selected Scripture from the King James Bible (chosen for its poetic verse). Our Copybooks are simple, clean, and focused on the task at hand. You won’t ﬁnd meaningless color illustrations strewn throughout our pages. The font size in Copybook Cursive III is college-ruled for older students continuing their copywork practice. 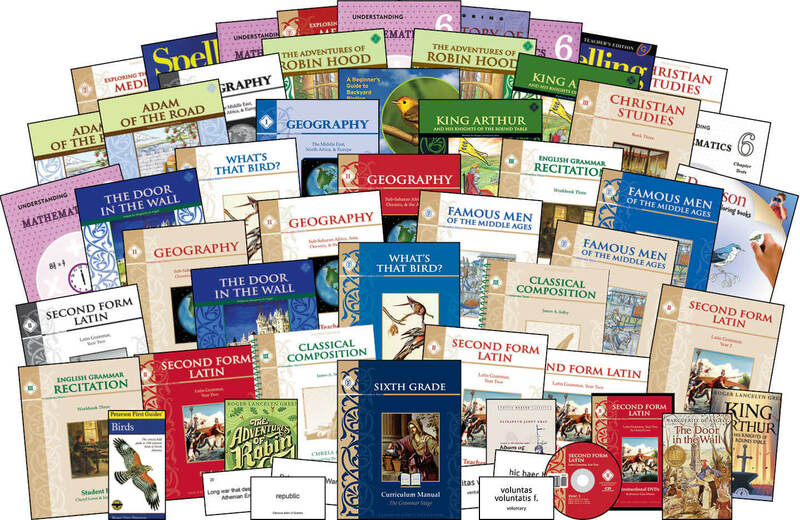 The First Form Latin DVDs feature video instruction for each of the lessons in the First Form Latin program. Lessons are approximately 15-20 minutes in length. Based on years of research, Memoria Press is pleased to offer the fifth year of our planned Junior K-12 classical curriculum. Now your child can have a Highlands Latin education at home using the very same materials our teachers use in our highly acclaimed programs. By following the daily lesson plans in our full-year Curriculum Guide, you will have every tool you need to give your child the very best education possible. Concerning Composition: Students should complete Classical Composition I before moving on to Classical Composition II:Narrative. Please consult our Classical Composition Sequence Chart if you have any questions.